In a prior blog post , we described how annual cooperative shareholder meetings should be conducted. 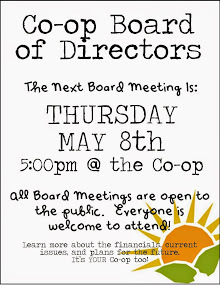 Now that the cooperative’s Board of Directors is properly elected and in place, the business of the cooperative should begin with the holding of a meeting of the Board and electing officers. This blog post will describe how to conduct regular Board of Director meetings in a cooperative. It is not unusual for By-Laws to require a newly elected Board to meet immediately after the annual shareholders meeting, even if such a meeting has not been noticed. Otherwise, By-Laws may require advance notice of the Board meeting. While Board meeting notices usually do not need to specify an agenda, we recommend that an agenda be circulated prior to the meeting so that those in attendance are prepared for the discussion of cooperative business and are not surprised by any of the topics. At the first Board meeting, it is prudent to elect the officers, such as the President, Vice-President, Secretary and Treasurer. The By-Laws will identify those officers to be elected for a particular cooperative as well as their roles. Review of the By-Laws must be made to confirm the quorum (the minimum number required to hold a valid meeting) required for the Board meeting, whether a majority or other percentage of directors. Once it is determined that there is a quorum present at the Board meeting, the By-Laws should be consulted to note voting requirements. Does a mere majority vote or a higher percentage allow for the passage of resolutions discussed? Particular matters, such as enacting additional fees like a flip tax, may require a vote of more than a majority, such as two-thirds. A flip tax is a fee paid to the cooperative at a closing by the seller and may be calculated as a flat amount, a percentage of the sales price, a percentage of the net profit of the sale, or by assigning a particular number of dollars per share owned by the seller. A flip tax is intended to enhance the account balance of the cooperative and share some of the seller’s sales proceeds with the building. Since flip taxes comprise an additional fee, it is not unusual for voting to require more than a majority or for such a matter to be considered by all shareholders, instead of merely the Board. As in the shareholders meeting, matters being considered are eventually voted upon. Prior to the vote, a motion is made, then seconded by another person, to resolve to enact the provision being discussed. The By-Laws should be consulted to determine whether those voting need to do so by written ballot, raising their hand or indicating by voice. Once all of the business is conducted, a motion is made, then seconded, to adjourn the meeting. Another issue relates to how current technological advances may change the conduct of meetings. In most cooperatives, the Offering Plans containing the By-Laws were written several decades before the internet was widely used, along with Skype, e-mail and the like. While e-mails can be sent to all board members to schedule a meeting and for other logistical matters, the actual business of discussing a matter requiring a vote usually cannot be accomplished by e-mail. For instance, the By-Laws of one of our clients provides that any board member may participate in a meeting by conference call or other means where all parties can hear each other at the same time. The purpose of this provision is so all board members have all of the same information to enhance their discussion and consideration of the issues and that they interact with each other. Those technologies allowing for all parties to call a phone number remotely and join the phone call with others, conference calls and Skype are proper ways to conduct most Board meetings. E-mails would not work in this instance, as the parties cannot hear each other. Our firm is available to guide its clients with respect to the proper conduct of board meetings, as well as the interpretation of By-Laws concerning the procedure for the resignation of officers and directors, whether committees and executive committees are appropriate for your building and other matters.